Surprisingly, not at all. I tried my hand at being an artist, a chef and a restaurant manager before I started hairdressing. My mum always thought I would be good at hair as I used to cut my own and all my friends’. One day she persuaded me to go to a college open day. As soon as I picked up the scissors I knew I wanted to learn to be a stylist and never looked back! After a year at college I took on a job as an assistant in a local hair salon. I worked hard and I quickly completed my final certificates in hairdressing. Deciding to start my own business was an easy decision as I had always dreamed of being self employed. ‘Hair by Camilla’ started as just a home salon but I quickly became very busy and needed to expand, so I now share a studio salon in Stroud with another stylist. I currently use two product ranges - Natulique and Maria Nila. Using cruelty free products is very important to me as I am an animal lover and am completely against animal testing. Natulique is a Danish Colour and aftercare brand that is certified Organic. Natulique’s colours are the least toxic range on the market and contain 95% natural ingredients. Because they contain no ammonia, all my clients are amazed by how lovely they smell and the incredible shine they leave on the hair. The line is also cruelty free, vegan friendly and contains a significantly lower level of PDD than most colour lines. Many clients that are allergic to regular colours are able to use Natulique. 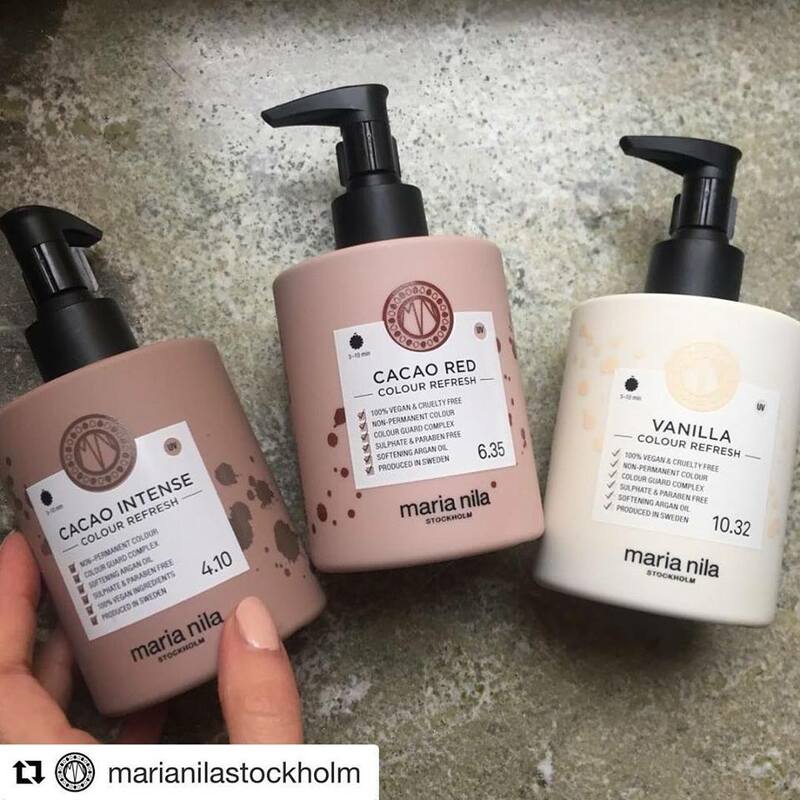 Maria nila is a Swedish brand of styling products. They are 100% vegan and cruelty free and they use climate compensated packaging. Why should we choose ‘eco’ hair products? What are the benefits over high street shampoo brands? -Sodium laurel sulphate - An aggressive foaming agent that irritates the skin, causes dryness and causes colour to fade. -Silicone - A plastic used to coat the hair to make it look shiny. It causes build up and breakage. Aside from your products, what else are you doing within your business to help the planet? I currently use eco towels (biodegrable towels made from plant waste). This saves me using thousands of litres of water doing washing. I also use reusable caps and gloves to minimise my plastic waste. I supply organic tea bags that are plastic free (I know! Tea bags contain plastic). All products I use are 100% recyclable. I also offer refills on shampoos and conditioners to help my clients minimise their plastic waste. Is it really true that having your hair cut more regularly makes it grow quicker?! Technically the hair will grow from the root at the rate it wants and no amount of hair cutting will change that. Massaging the scalp and making sure you get the right vitamins and minerals can help your hair grow faster. However, the ends of the hair will start to disintegrate and split at about 8 weeks after your last hair cut. Once the hair has split it needs to be cut or the split will continue up the hair shaft, resulting in the hair snapping off higher up. A simple trim will stop this happening and will keep your hair longer and healthier. Yes! I practice what I preach and use the sustainable products that I recommend to my clients. I recycle as much as I can and try to limit my plastic waste as much as possible. I still have a long way to go but it’s all about installing good habits and being conscious of the impact that we are having upon the planet. Something as small as reusing the same water bottle can save over 1000 plastic bottles a year. What’s next for Hair By Camilla? How do we book an appointment with you? I take bookings via my Facebook page ‘Hair by Camilla’ or you can always call or text on 07932441765. I don’t have a receptionist so it’s best to leave a message!